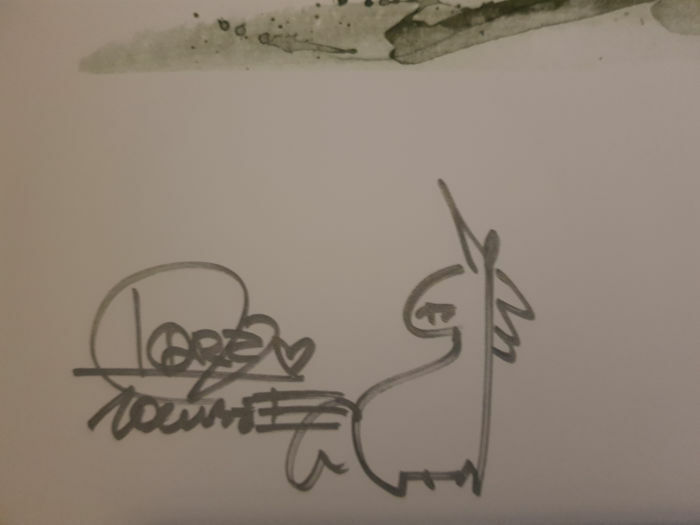 Offset Print - Signed and uniquely doodled in silver by artist. 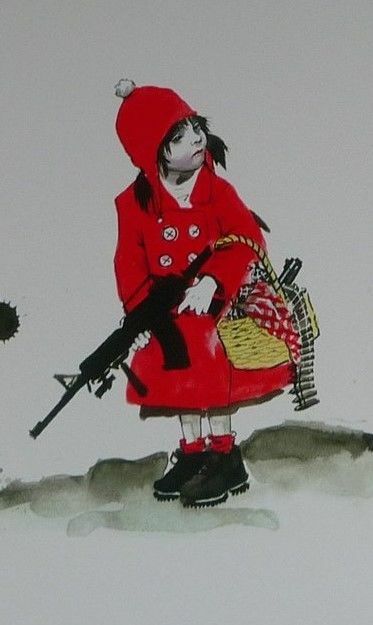 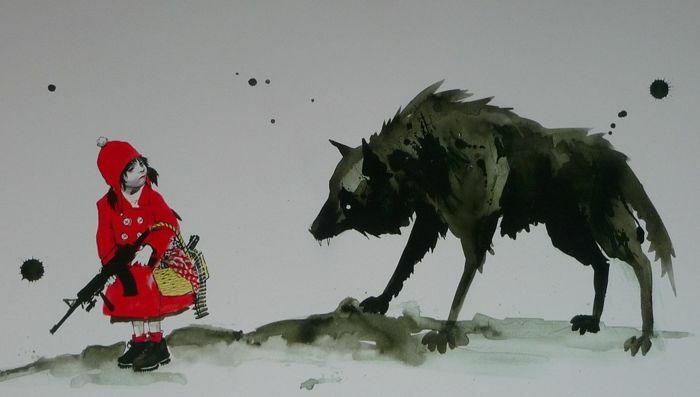 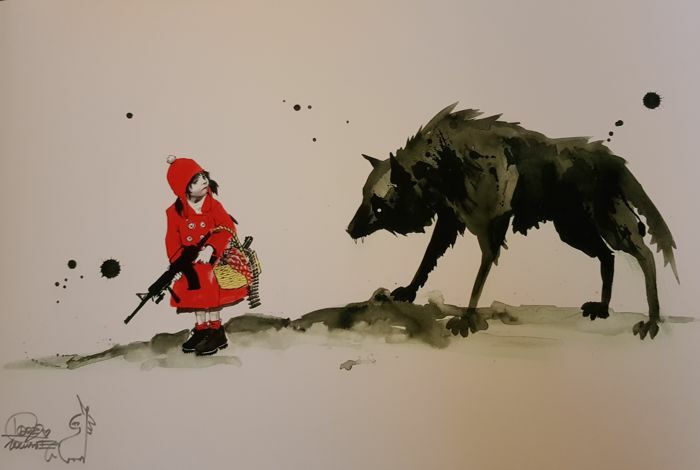 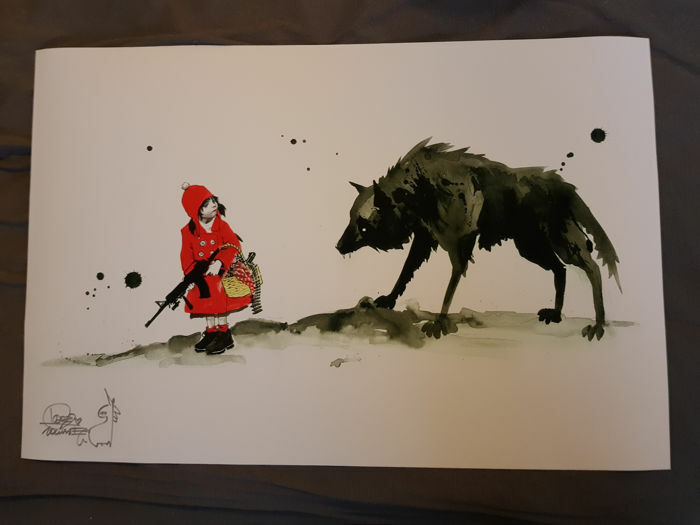 A Beautiful artwork, created in 2013 by russian artist Lora Zombie entitled "Red Riding Hood"
The open edition is printed in "Bright white" 225gsm acid free paper and is hand signed by the artist in silver, with a drawing of a unicorn added. 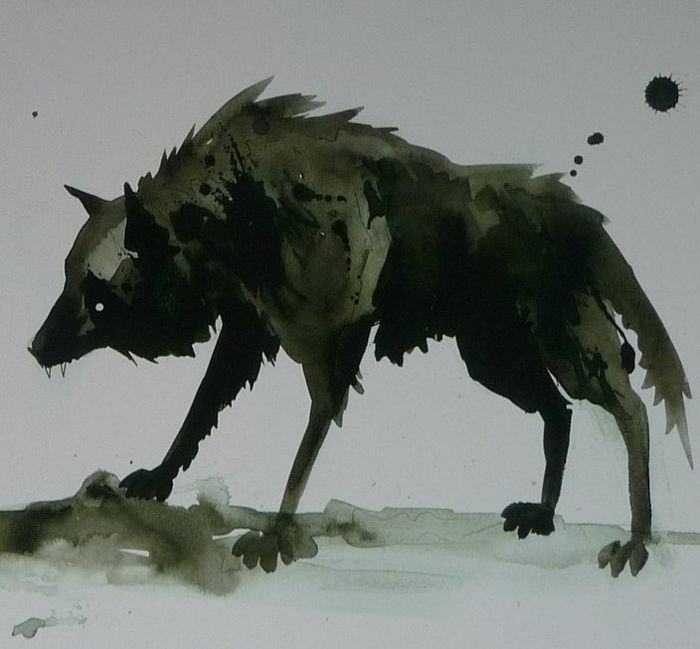 The Artwork will be well packed and shipped in a sturdy cardboard tube.